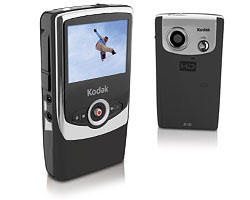 1) The KODAK Zi6 Pocket Video Camera so I can keep up on my blogging and my posts. 2) A certificate for 3 months of guitar lessons. 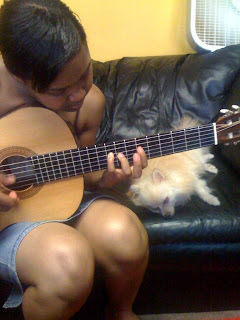 I have the guitar, just need a few lessons to get it down. 3) Tickets to No Doubt's concert on June 26th. My most favoritest band ever is performing at PNC Bank Arts Center in Holmdel, NJ! 4) Cash money always works and I'm not talking about Lil Wayne & dem. :) They can be in envelopes that say: "Studio Time" or "Logo" (cause I need one) "Promotional Stuff" or "Travel Expenses." Shoot, a gas gift card works! 5) A packed house at my birthday party/performance at Negril Village July 8th, 2009 Come out to my free show at 70 West 3rd Street between LaGuardia and Thompson. Doors open at 6pm, show starts at 7pm. You get to hear some of my new music/poetry with my live band and have some cake. Afterwards, we party the night away to the sounds of a great DJ!